The National Opera is a showcase for the historical love that Greeks have for Opera. The Greek National Opera is about to get a new home from which to offer its high-caliber productions and reach out to new audiences. Traveling along Athens’ southern coast at Faliro Bay, you will see huge cranes looming over a vast construction site that is rapidly taking shape. This is the Cultural Park, soon-to-be home of the Greek National Opera – in a striking new edifice – the new National Library and a model botanical garden. This cultural complex is a study in the application of new technologies, designed by acclaimed Italian architect Renzo Piano and funded by the Stavros S. Niarchos Foundation. And it begs the question: are Greeks so fond of opera as to merit one of the most advanced venues in the world? 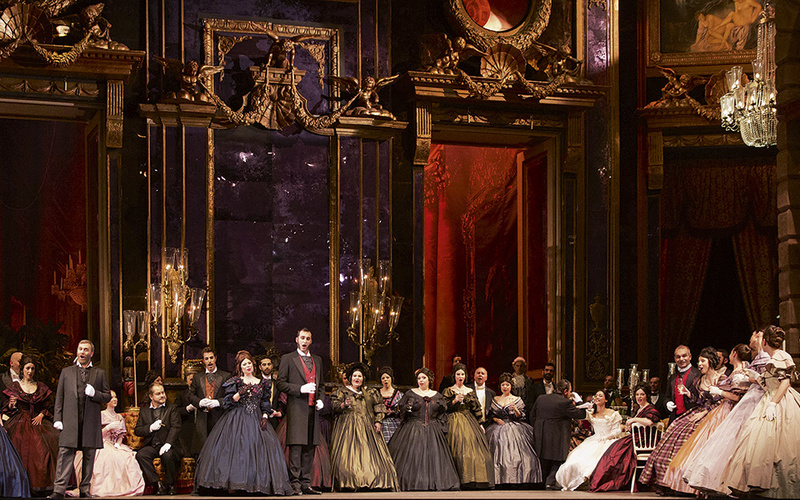 On an institutional level, the Greek National Opera (GNO) has been an autonomous organization since only 1939, but the tradition of opera in Greece goes back much further. Over the years, it shot new roots and branches that were transplanted, growing into different forms and popular variations that are not immediately apparent when one looks at contemporary Greek culture. 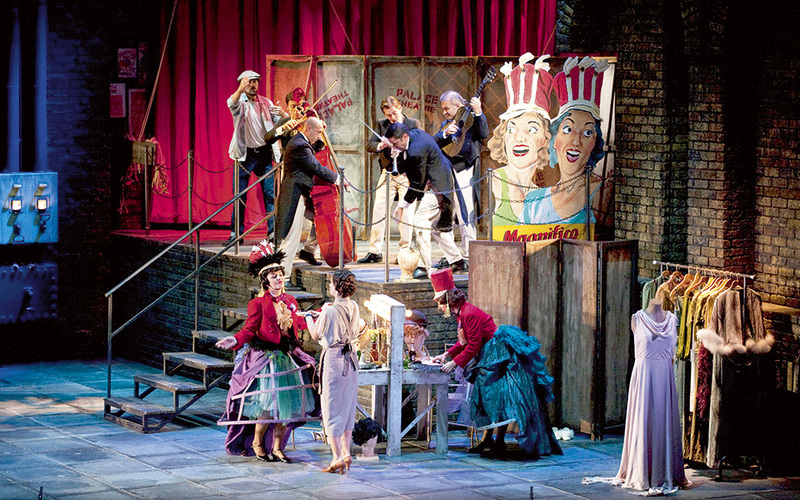 If you were to attend an opera in Athens, you would note two things: first, the crowd that gathers for every performance, often reaching 80 or even 100 percent of the theater’s capacity, and second, a cross-section of different social classes. This observation lends credence to the argument that opera is indeed very well suited to Greeks. The Olympia Theater was inaugurated in the late 1950s and still retains the classical style of that era. Today, and until the new opera house opens at Faliro in 2016, the GNO performs at the Olympia Theater in downtown Athens. Despite its small size and slightly outdated facilities, Greeks love the Olympia because it has given them some of their most memorable performances.The Olympia Theater was inaugurated in the late 1950s and still retains the classical style of that era. It replaced a smaller Romantic-style theater of the same name that had hosted numerous performances, along with many other theaters in the capital, both indoor and open-air, from the National Theater and the Pallas, to temporary stages set up for the summer and the grandiose Odeon of Herodes Atticus. The Roman-era Odeon, which in the 1950s became home to the then newly-established Athens (now Greek) Festival, continues to this day to host the GNO, showcasing legendary artists and historic productions. 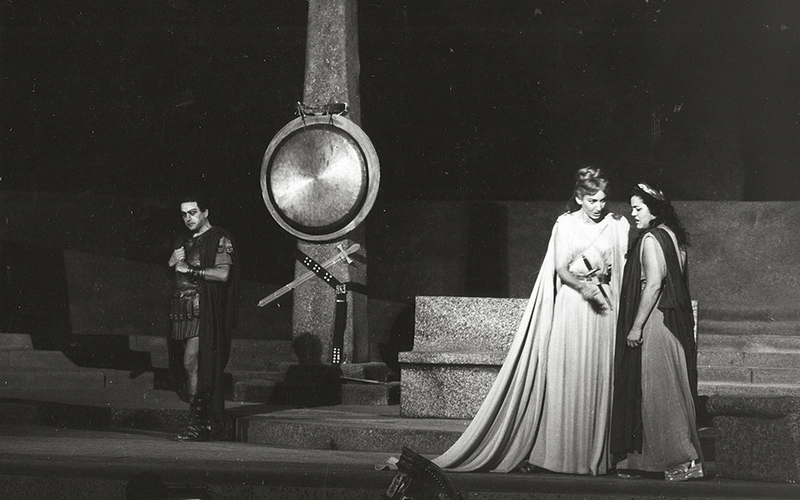 In a country that produced Maria Callas, one might expect a broader education in opera beyond the confines of Athens. Greece continues, of course, to turn out significant operatic talents that have gone on to stellar careers abroad, including sopranos Myrto Papatanasiu and Dimitra Theodossiou, who are still invited back by the GNO to perform in its productions or special opera galas. 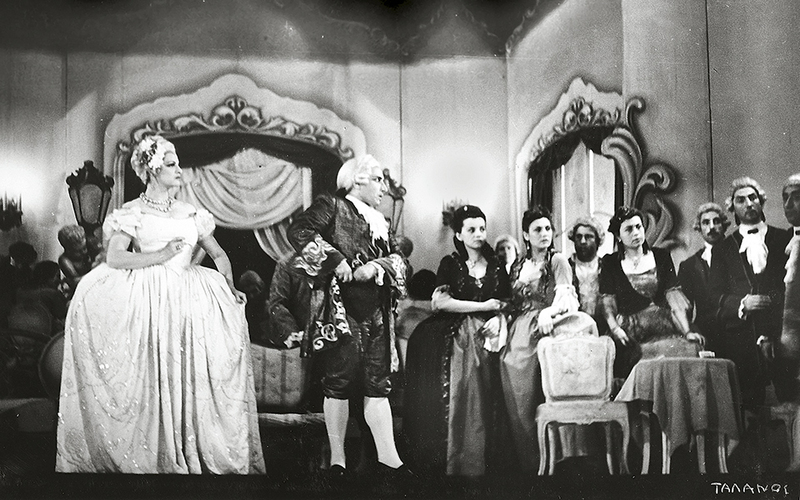 Though Athens is the only place in Greece with an opera company, its audience is everywhere, in part because the turbulent and often unconventional history of the Greek middle classes in the pre-World War II period saw opera flourishing in other urban centers such as the island of Syros in the Aegean and the islands of the Ionian. So, while Greece has a relatively small cultural market and only one city with an opera company, it has a large audience. 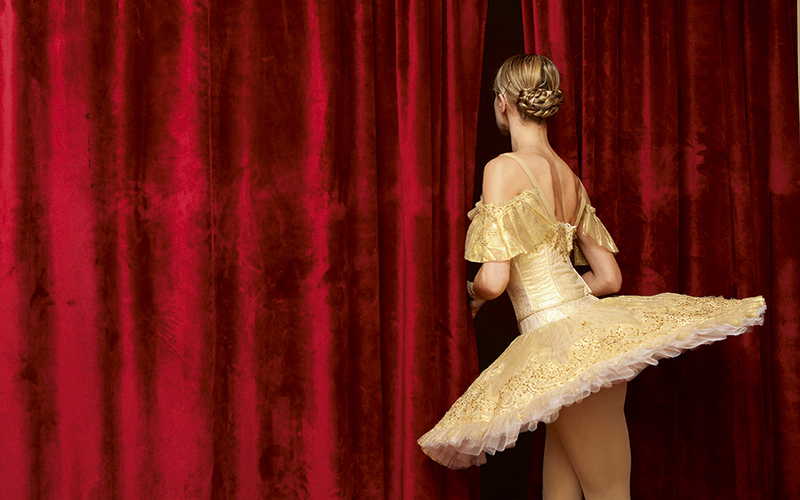 A performer prepares to go on stage. The success of the Greek National Opera stems not just from the great performers and productions it has offered, but also from how it has adapted, in the past few years in particular, to changing social and economic circumstances. Chief conductor and Artistic Director Myron Michailidis succeeded in reaching out to the people after first putting the company’s finances and staffing structure in order. 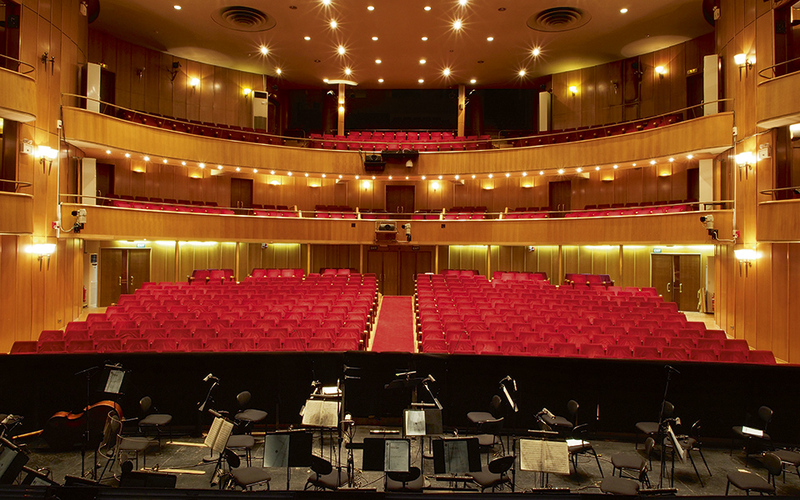 Like all state-run organizations in Greece, the GNO has suffered major funding cutbacks since the start of the crisis, but has nevertheless maintained the high quality of its productions – often thanks to sacrifices made by cast and crew – and has presented fascinating performances at the Olympia and at the modern Alexandra Trianti Hall of the Athens Concert Hall. It has also been investing heavily in ballet in the past few years, building a repertory under Artistic Director Renato Zanella. Another achievement of recent years has been GNO’s ability to increase its stake in the cultural market. It has ventured beyond the theater’s walls and staged events in the city with resounding success. The tribute to Maria Callas that consisted of an operatic walk through the historic center of Athens, concerts at the central Varvakeios meat market and at the Temple of Olympian Zeus under the moonlight, surprise performances in the metro and pocket operas that travel around the country, are but a part of the company’s increasingly socially-aware profile. Most importantly, however, the GNO is not afraid to dive in at the deep end. The first Wagnerian production in Greek history was Tristan and Isolde in 2014 and it surpassed all expectations. At the same time, the company reached out to Greek artists and gradually built a parallel repertory with new works. The recent production of The Murderess by composer Giorgos Koumentakis (music director of the Athens 2004 Olympic ceremonies) is inspired by a 19th century short story by the prolific Greek novelist Alexandros Papadiamantis and became a part of the repertory following rave reviews. This broadening of its scope has borne fruit for the GNO and today you will see groups you would not have pegged as opera fans, from teens and 20somethings to alternative types, hipsters and people more often associated with mainstream entertainment. The GNO has also cultivated a new batch of seasoned and young singers who have been instrumental in breathing new life into a distinguished tradition. With solid educational backgrounds and training, and with appearances in international productions, the Greek opera singers to emerge in the past few years have raised the bar and increased the audience’s expectations for great things to come at the new venue. The expectation is for southern Europe’s newest opera house to make its own mark not just from a technical and aesthetic standpoint but also on a symbolic and pragmatic level, and to redraw the international map of opera companies and the cultural market in Europe and beyond. 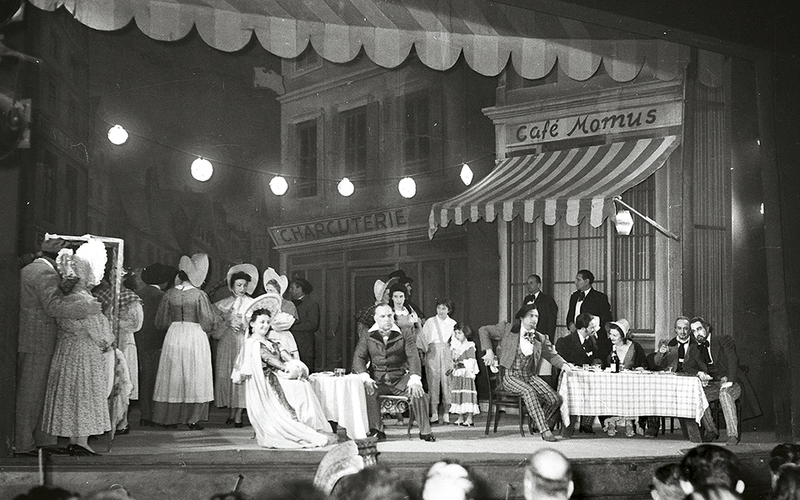 A long, mostly overlooked tradition, Greeks’ love of opera, operetta, ballet, musical theater and all their variations is condensed in the history of the GNO. The company is also an example of how a cultural organization with limited resources can continue to reinvent itself and broaden its audience, while raising expectations with every year that passes.